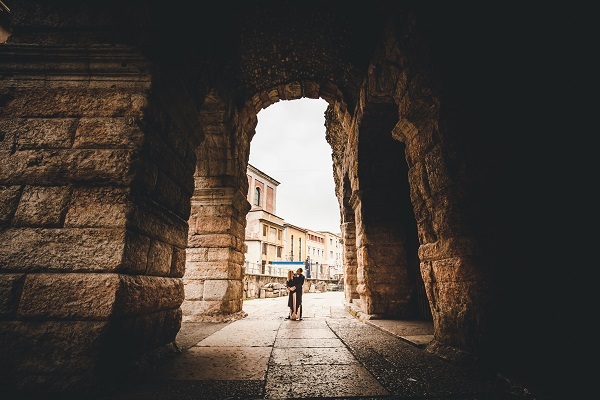 Carlo and Liz are wedding photographer in Verona with 10years experience. Their pictures contains many emotions that you will relive for decades to come. 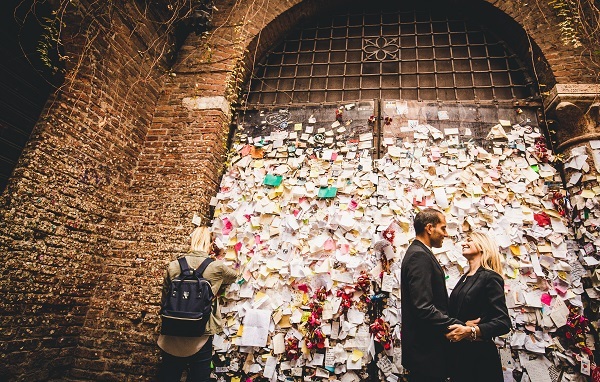 As destination wedding photographers they love traveling around Italy and abroad but one of the most romantic city is for sure Verona with its Romeo and Juliet. Their style is called "reportage" which it means that the photos taken are spontaneous, and even who doesn't feel at ease in front of the camera, he's not going to notice his presence. 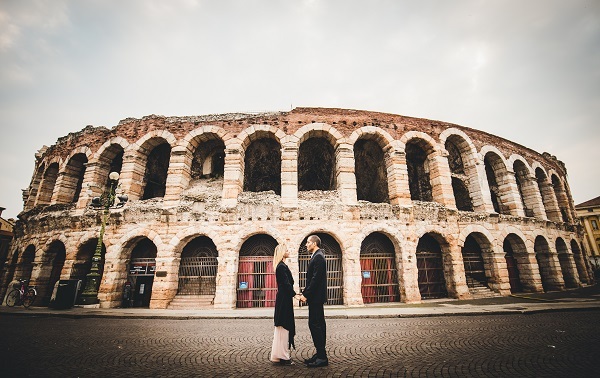 The main aim of a wedding photographer in Verona is to capture any sweet, romantic and even fun moment of that beautiful day, and with their pictures they will tell the story of your unforgettable wedding in Verona. Carlo and Liz photographers will deliver the edited photos, in 1/2 weeks and, if the clients want, they will send them all the original pricures taken during the wedding in Verona in HD. 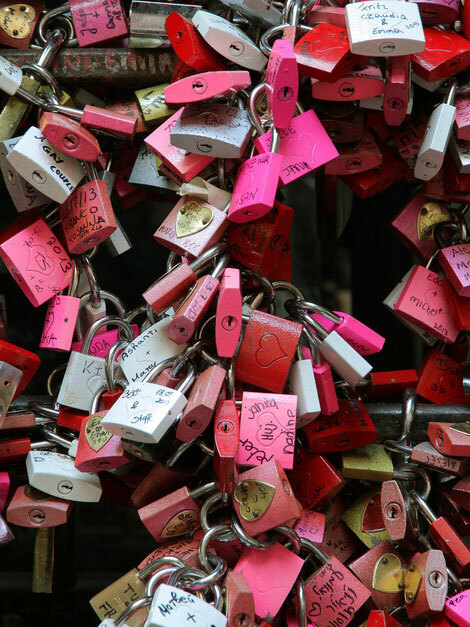 Carlo and Liz can offer several packeges, from the extra small (which is the cheap package) to the more expensive one, the luxory package which offer many services. They offer also makeup artist and hairstylist ho will make the bride stunning! Click here to see the brides' transformation! Carlo works as wedding photographer in Verona, Verona, Bussolengo, San Bonifacio, Legnago, Vialeggio sul Mincio, Peschiera del Garda, Garda, Affi, Malcesine. If you want to know the cost contact us here! If you want to see our last services of: wedding latest services click here!